There’s a wild conspiracy theory being perpetuated by the Trump-hating mainstream media right now that claims the president is reversing an Obama-era ban on the use of pesticides and GMOs (genetically-modified organisms) in national wildlife refuges. But an in-depth Natural Newsinvestigation has revealed that this claim is just more fake news, as Obama never actually banned either of these poisons from nationally-owned land. The number of chemicals applied to vegetables sold in supermarkets has increased by up to 17-fold over 40 years, according to data presented at a conference organized by the Epidemiology and Public Health Section of the Royal Society of Medicine in London on 20 November, which I attended on behalf of GMWatch. Just as disturbing as the data on our escalating exposure to toxic pesticide mixtures was the evidence presented at the conference that the regulatory system for pesticides is failing. 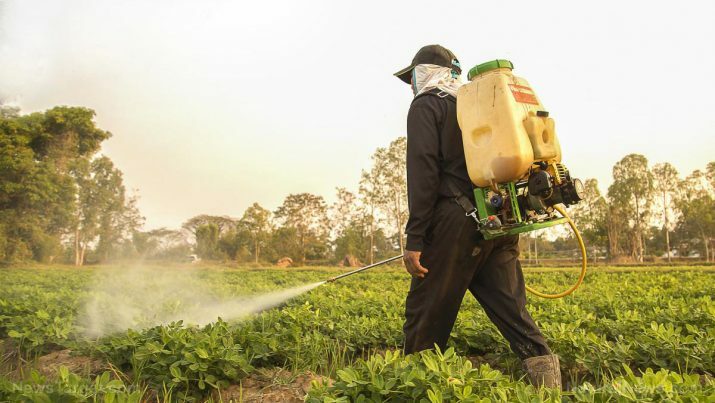 Scientists explained that while the system tests the single active ingredients in pesticides, it fails to test the many accompanying chemicals (adjuvants) used in pesticide formulations to enhance the effectiveness of the active ingredients. It also fails to test the combined effects of the formulations of chemicals used in commercial pesticides, let alone the cocktail effect of being exposed to multiple pesticides, as most farmers, rural residents and consumers are. Indeed, as one scientist pointed out, there are simply too many potential combinations of chemicals to test and regulate. Nor, we heard, does the regulatory system test low, realistic doses of these chemicals that may give rise to endocrine (hormone) disruption, which can in turn lead to serious illnesses that are increasing in the population. Because of these facts, there is simply no way of ensuring the safe use of pesticides in agriculture. Figures released for the first time at the conference showed that the number of toxic chemicals applied to onions, leeks, wheat and potatoes has been steadily increasing since the 1960s. This is despite industry data showing that the volume of pesticides applied to supermarket vegetables has halved since the 1990s. The number of pesticides applied to onions and leeks has risen 17-fold from 1.8 in 1966 to 32.6 in 2015, the data showed. In 1974, fewer than two chemicals were applied to the average wheat crop, but this rose more than 10-fold to 20.7 in 2014. Potatoes are now sprayed with five times more chemicals than in 1975, with the number rising from 5.3 to 30.8 in 2014. The figures were compiled by the data firm Fera Science and were only made public after the Soil Association, which certifies organic food in the UK, paid for them to be released. While Fera did not measure actual residues present in the produce, the fact that so many pesticides were applied to the growing crops suggests that at least some residues would be found if they were looked for. 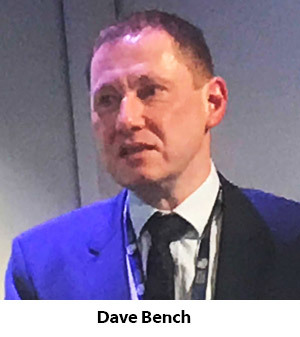 The conference followed the publication of an article in the journal Science by Prof Ian Boyd, chief scientific advisor to the UK government’s department of agriculture (DEFRA). Prof Boyd wrote that the assumption by regulators around the world that it is safe to use pesticides at industrial scales across landscapes is false. But pesticide regulations fail to do so. 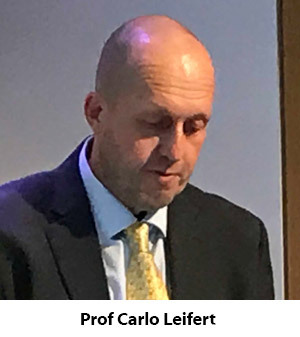 Prof Carlo Leifert, director of the Centre for Organics Research at Southern Cross University in Australia, cited research showing higher sperm counts and density in men working for the Danish organic farming association and a separate US study showing that high levels of dietary pesticide exposure were linked to low sperm quality in men. Prof Leifert’s presentation came soon after the publication of a study implicating pesticide-treated foods in fertility problems in women. In the study, published in JAMA Internal Medicine, Harvard researchers followed 325 women at an infertility clinic and found that women who regularly ate pesticide-treated fruits and vegetables had lower success rates getting pregnant with IVF, while women who ate organic food had reduced risk of pregnancy loss and increased fertility. Dr Michael Antoniou, head of the Gene Expression and Therapy Group at King’s College London, told the Royal Society of Medicine conference that the adjuvants in commercial pesticide formulations can be toxic in their own right and in some cases more toxic than the declared active ingredients. Yet only the active ingredients are tested and assessed for long-term health effects in the regulatory process. Dr Antoniou also said that research on hormone-disrupting chemicals, including pesticides, shows that very low realistic doses can be more toxic than higher doses. 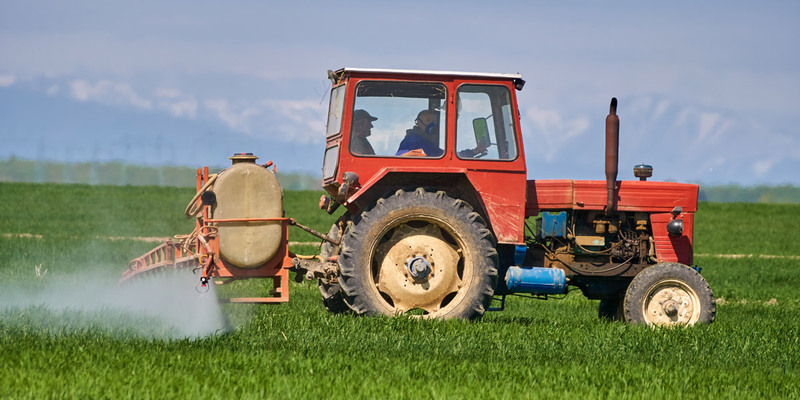 As pesticides are not tested for low dose effects for regulatory purposes, these effects can be missed by regulatory agencies, leading to a situation in which the public can be exposed to hormone-disrupting levels of these chemicals. This is a matter of concern because hormone disruption is implicated in a large number of diseases that are becoming increasingly widespread, such as hormone-related cancers, obesity, and diabetes. 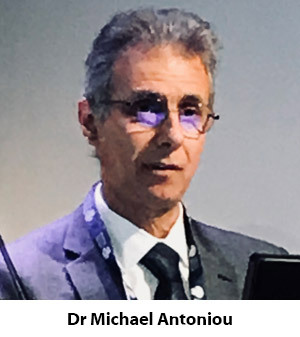 Dr Antoniou said that regulators around the world have been slow to keep up with the scientific knowledge of harm from low doses of endocrine disrupting chemicals. These effects are not controversial in the scientific community and yet the EU has still not decided how to define endocrine disruptive chemicals, let alone how to regulate them. Dr Antoniou described his research showing that long term exposure to very low doses of Roundup herbicide far below regulatory permitted levels caused non-alcoholic fatty liver disease (NAFLD) in rats. 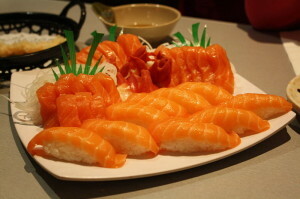 NAFLD has now reached epidemic proportions in the US and Europe, with around 25% of the population suffering from it. Occasions like this are often interesting from the point of view of finding out the industry line on the scientific and public relations challenges it is facing, and this event was no exception. One such line was offered by Sarah Mukherjee, CEO of the Crop Protection Association (CPA). Mukherjee is a former BBC journalist who began her presentation by stating that she had no scientific background. Her presentation consisted of emotive stories of her deprived childhood, with the implication that organic food is a luxury that only the affluent can afford and that pesticides were needed to ensure an affordable food supply for all. She did not address any of the scientific points presented by the earlier speakers. In fact, she was not present for those sessions and only arrived later in the day. 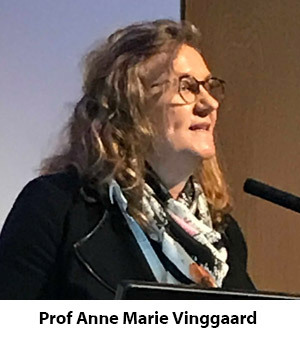 The tone and content of her presentation did not sit well with the detailed information on the proven effects of low-dose pesticides provided by the scientist speakers in the morning sessions. It was remarkable for its failure to offer any evidence at all to back up Mukherjee’s premise that we are better off with pesticides. 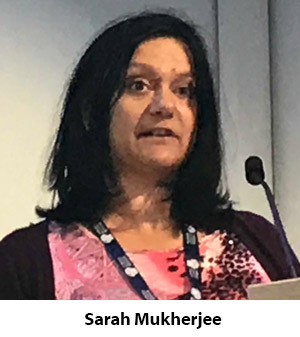 Mukherjee’s closest brush with science was an attempt to exonerate glyphosate herbicides from suspicion of carcinogenicity by quoting the latest updated findings from the Agricultural Health Study (AHS) in the US. These found no link between glyphosate and non-Hodgkin’s lymphoma, a type of cancer. Mukherjee used these findings as a stick to beat IARC, the World Health Organization cancer agency that upset the pesticide industry by concluding that glyphosate was a probable carcinogen. Mukherjee also failed to mention that IARC took the AHS’s “no effect” finding from glyphosate into consideration in its assessment of glyphosate, since previous findings from the AHS that were already published at the time of IARC’s review had also found no effect. Other epidemiological studies did find a link between glyphosate and non-Hodgkin’s lymphoma. This contradictory evidence is why IARC said there was only “limited” proof of a glyphosate link with cancer from epidemiological studies. However, it classified glyphosate as a probable carcinogen on the basis of “sufficient” evidence in controlled laboratory studies on animals. These types of study, unlike epidemiological studies, demonstrate a causal link and are therefore a far stronger form of evidence. Mukherjee’s “organic food is elitist” meme did not play well with me. I speak as someone who at one point in my life lived in a partnership in which neither of us had any income or savings and we had to survive off very meagre state benefits. Yet we ate organic 100% of the time. We did it by cooking fresh food from scratch each day (it didn’t take much time), buying via farm box delivery schemes rather than from supermarkets, eating mostly vegetarian, and – obviously – not spending money on luxuries. On our occasional forays to the supermarket to buy loo rolls and cleaning fluids, we were gobsmacked at the large amounts of money being spent on the weekly shop by families with trolleys full of processed food. Even without getting into discussions about the “externalized” costs of eating pesticide-contaminated food, such as getting sick, we simply could not afford that type of food. So who exactly were the elite in this situation? Certainly not us. This is just one example among many of Mukherjee’s irrational and frankly insulting approach to the vital topic of food security. 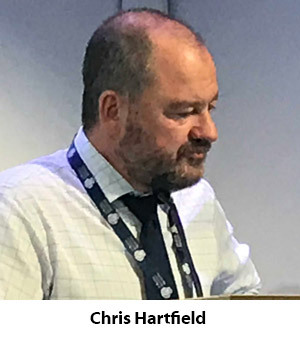 The other people speaking in support of the safety and benefits of pesticides were Dr Chris Hartfield of the National Farmers Union (NFU) and Dave Bench of the UK government’s Health and Safety Executive. Mr Bench described the regulatory system for pesticides, which he portrayed as robust and as balancing the risks of pesticides against the benefits to society. Dr Hartfield showed a long list of Integrated Pest Management (IPM) techniques, in which pesticides are only sprayed as a last resort as and when absolutely necessary. He said that 16,820 farmers in the UK are using these techniques on 4.4 million hectares of land. However, members of the audience were skeptical of this claim. Guy Watson, an organic farmer from Riverford Farm in Devon, said that his conventional farmer neighbour laid out his spraying schedule well in advance of the growing season and that all the pesticides were sprayed in accord with the schedule, whether they were needed or not. He suspected that farmers’ practice of IPM was confined to a paper exercise that was not borne out by the reality in the fields. Mr Watson’s skepticism about UK farmers’ use of IPM was amply supported by the data presented at the conference showing the increasing numbers of pesticides sprayed on our food. Some members of the audience who suffered repeated exposures to pesticide spraying because they lived near treated fields agreed that a cavalier attitude to the use of pesticides seemed to be the norm among conventional farmers. Georgina Downs of the UK Pesticides Campaign, which represents rural residents affected by pesticides sprayed in their localities, commented after the conference: “There was the usual gross misinformation stated by the CPA and the NFU – most importantly their insistence that there is a rigorous regulatory system in place for pesticides. There simply is not, and this lie cannot continue to be peddled. Is farming without pesticides possible? Agro-industry lobbyists would have us believe that farmers cannot manage without pesticides. What is more, they claim that even organic farmers regularly spray a vast array of pesticides permitted under organic standards. But this picture is far from the reality. Most organic farmers do not spray because they take other measures to protect their crops, such as rotating crops to prevent attacks from over-wintering pests, using barrier methods against pests, cultivating hedges and plants to attract insects and animals that eat pests, and planting cover crops to suppress weeds. 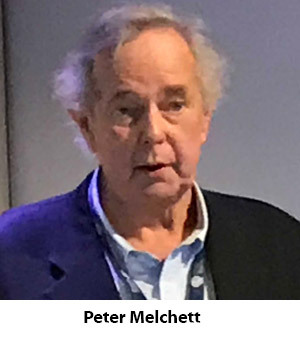 This was confirmed by the final speaker at the conference, Peter Melchett, who has been an organic farmer for 19 years and a conventional farmer before that. He said that since converting to organic he has only had to spray a single field once. 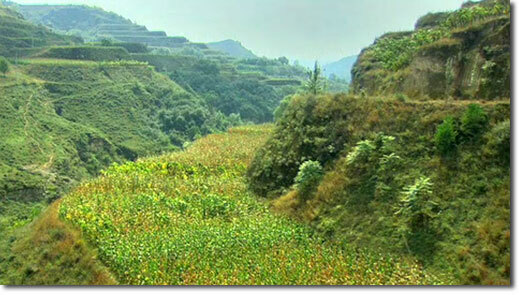 The one lapse was due to his mistake in planting two related crops in the same field two years running. A pest over-wintered in the field, only to emerge the following year to devour the new crop. Mr Melchett said he never repeated his mistake – and has never had to spray again. The take-home message from the non-industry speakers at the conference was that the regulatory system for pesticides has failed and cannot be reformed in a way that renders these chemicals safe. As we’ve seen, the system does not test the adjuvants, or the commercial pesticide formulations, or the chemical cocktails to which we are exposed. Neither does it test low, realistic doses that may give rise to endocrine disruption. Therefore pesticides must be eradicated from food production and farming must be entirely converted to proven-successful organic and agroecological practices. The PRHE is dedicated to identifying, measuring and preventing exposure to environmental contaminants that affect human reproduction and development. Its work weaves together science, medicine, policy and advocacy. For example, research over the past 10 years by UCSF scientists and others has showed that bisphenol A (BPA) – an industrial chemical used since the 1950s to harden plastics in baby bottles, toys and other products – is found in the blood of those exposed to items made with BPA and that it can harm the endocrine systems of fetuses and infants. As a result, the Food and Drug Administration (FDA) outlawed BPA in baby products in 2012, and some manufacturers developed BPA-free products. But now scientists believe the chemicals that replaced BPA may be just as harmful. Furthermore, BPA is only one in a long, long list of chemicals we encounter every day in our homes, schools, workplaces and communities. And scientists have barely scratched the surface of understanding them. Of the thousands and thousands of chemicals registered with the EPA for use by industry, the agency has regulated only a few. “In the last 50 years, we have seen a dramatic increase in chemical production in the United States,” Woodruff explains. Concurrently, there’s been an increase in the incidence of conditions like attention deficit hyperactivity disorder (ADHD), autism, childhood cancers, diabetes and obesity. “It’s not just genetic drift,” Woodruff maintains. And we’re all at risk from increasing chemical exposure. The water we run from our taps, the lotion we smear on our skin, the shampoo we rub in our hair, even the dust in our houses is full of synthetic chemicals. The water we run from our taps, the lotion we smear on our skin, the shampoo we rub in our hair, even the dust in our houses is full of synthetic chemicals. Though environmental toxics affect us all, there’s a reason PRHE focuses on pregnant women and children, Woodruff adds. Exposure to even tiny amounts of toxic substances during critical developmental stages can have outsize effects. So exposure to toxics is especially detrimental to fetuses, infants and young children, as well as preteens and teenagers. “If you prevent the problem at the beginning, you get a lifetime of benefits,” says Woodruff. The U.S. Centers for Disease Control and Prevention (CDC) began measuring human exposure to chemicals in 1976. These so-called “biomonitoring” studies found a range of toxics in subjects’ blood and urine – substances like DDT, BPA, air pollutants, pesticides, dioxins and phthalates. Phthalates, for example, are a class of chemicals known to be endocrine disruptors but widely used as softeners in plastics and as lubricants in personal-care products. Biomonitoring has determined that women of reproductive age evidence higher levels of phthalates than the population at large. One reason, says Woodruff, is that young women use more products like perfume, deodorant, shampoo and conditioner. Woodruff herself recently led a study in which UCSF researchers collected blood samples from pregnant women at ZSFG. After the women delivered their babies, the researchers collected umbilical cord blood samples – and discovered that almost 80 percent of the chemicals detected in the maternal blood samples had passed through the placenta to the cord blood. It was the most extensive look yet at how the chemicals that pregnant women are exposed to also appear in their babies’ cord blood (and followed an earlier study by Woodruff that marked the first time anyone had counted the number of chemicals in the blood of pregnant women). Published in the Nov. 1, 2016, print edition of Environmental Science and Technology, the study also found that many chemicals were absorbed at greater levels by the fetuses than by the pregnant women. Now, Woodruff is hard at work on a new grant from the federal Environmental Influences on Child Health Outcomes (ECHO) Program. 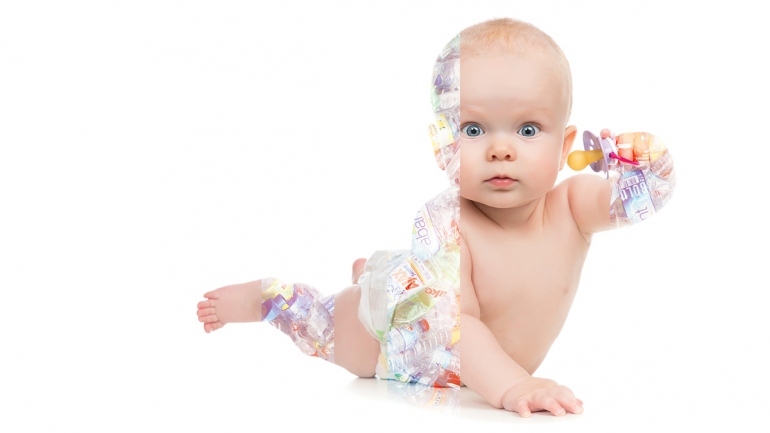 It aims to correlate children’s exposure to toxics with their developmental outcomes from birth to age four. The good news is that the work done by Woodruff and her team shows a clear impact. Following bans (some permanent and some temporary) on certain phthalates, for example, UCSF researchers measured declines in the urinary concentrations of the permanently banned types in a representative sample of the U.S. population. She spent 13 years at the federal agency, as a scientist and policy advisor, studying the effects of air pollution on children’s health. The topic interested her, she says, “because children are vulnerable and can’t speak for themselves.” Her analysis of data collected under the Clean Air Act, for example, found that air pollution is linked to infant mortality. She also determined that pregnant African American women had higher exposure to air pollution and more adverse pregnancy outcomes than the population at large. In her own home in Oakland, Woodruff has made slow changes over time. “I got rid of carpet. … The padding can contain toxic chemicals. I waited to buy a couch … too long according to my family,” she laughs. (Couches without flame-retardants didn’t become available in California until after the state changed its flammability standard in 2014, making it possible to sell couches that are flammability-safe but are made without flame-retardant chemicals.) “I still have a couch that probably has flame-retardants, but I am just ignoring it. We eat mostly organic to reduce pesticide exposure. Less is more in personal-care products,” she adds. Does she make her own shampoo? For example, Woodruff explains, Americans would have had a hard time limiting their exposure to lead before leaded gasoline became illegal in 1996 (though the phaseout started in the mid-1970s). Until then, no amount of personal awareness could protect someone from lead – it was in the air that everyone breathed. We do not always consider EPA a public health agency, but it is. Woodruff and her colleagues also have been working over the last several years to help strengthen the federal Toxic Substances Control Act (TSCA) of 1976. It was well recognized that the law was flawed and allowed thousands of chemicals to be used in the marketplace without testing for safety, she explains. When bipartisan calls to strengthen the law led Congress to amend it in 2016, PRHE experts partnered with obstetricians and gynecologists to provide scientific evidence about the need for improved standards, deadlines and transparency. As rules for the amended TSCA are rolled out over the next two years, “we’ll be right in there to promote the use of science for the public’s health,” says Woodruff. She’s also bringing environmental toxics to the attention of her UCSF colleagues in other disciplines. “One of the reasons we love being at UCSF is we can learn from people who are doing completely different things,” she says. For example, she is working with researchers who study the placenta, since her 2016 study showed that environmental toxics permeate the placenta. And with developmental biologist Diana Laird, PhD, an associate professor in the Center for Reproductive Sciences, Woodruff is co-leading the Environmental Health Initiative (EHI). 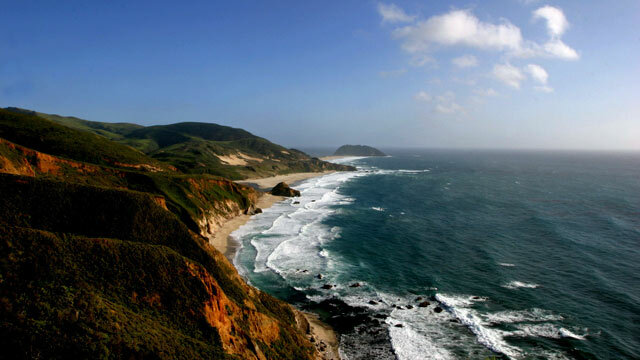 The EHI’s goal is to involve researchers from throughout UCSF – from the biological, population and translation sciences – in solving and preventing the environmental burden of disease, starting with ensuring healthy pregnancies. Hope you’ve enjoyed civilized life, folks. Because a new study sponsored by NASA’s Goddard Space Flight Center says the world’s industrial societies are poised to collapse under the weight of their own unsustainable appetites for resources. There goes the weekend . . . and everything after it for the rest of our lives. The research article appears in the peer-reviewed scientific journal Ecological Economics, but Dr. Nafeez Ahmed, executive director of the Institute for Policy Research & Development, has a more understandable (but no less harrowing) summary over at The Guardian. Either way, the news isn’t good—as the researchers point out, history doesn’t seem to hold out any favor for advanced societies. The fall of the Roman Empire, and the equally (if not more) advanced Han, Mauryan, and Gupta Empires, as well as so many advanced Mesopotamian Empires, are all testimony to the fact that advanced, sophisticated, complex, and creative civilizations can be both fragile and impermanent. Who’s to blame? You. Me. Everyone walking around outside your window. Even the technology we invented to save us from ourselves is contributing to our decline. Technological change can raise the efficiency of resource use, but it also tends to raise both per capita resource consumption and the scale of resource extraction, so that, absent policy effects, the increases in consumption often compensate for the increased efficiency of resource use. Which is just as difficult and improbable as it sounds. 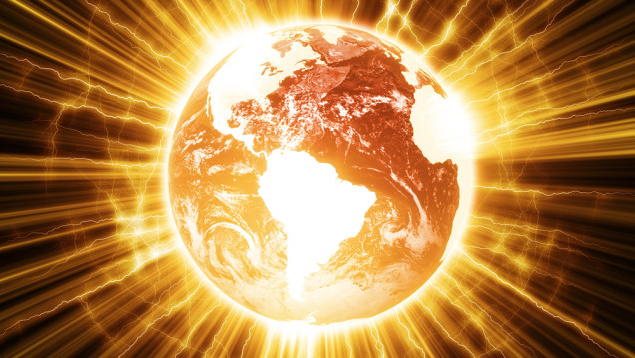 Rio+20 has been and gone, and, in the big scheme of things, has achieved little, or worse. With this post I’d like to take the opportunity to jot down some thoughts, and images, that might help us shake off disappointment, disillusionment and despair, and give us something we can all consider, adjust and rally around. Our ‘leaders’ are taking us ‘down the garden path’, but, unfortunately, in the proverbial, rather than literal, sense. It’s truly time to forge new beginnings, create new economies, and to prioritize natural and social capital with the goal of restoring ecological and social health. The problem we as a race (particularly Anglo Saxons like myself) have, I think, is that when we think of nature, we tend to compartmentalize it. It’s that ‘reserve’ or ‘park’ that needs to be ‘protected’ from us. We tend to admit that we ourselves are destructive, but the central problem is that since we can’t see ourselves being anything more than destructive, we conclude that if we can just leave enough space ‘out there’ that we don’t touch, then it’ll all somehow balance out. This is a totally ingrained, but little recognised, failure of our modern culture. Permaculturists look at the world differently – in that humankind are also part of nature. Not only that, and not only that we (as part of nature) deserve to survive, but we can actually be a beneficial organism in the picture also. If this capacity (which is proven) could be true of all humans, then it doesn’t matter where man lives, even if he virtually covers the globe, as he is an asset to the planet, and not a parasite. This of course can only happen if he learns to work with nature, and not battle it at every step, as he mostly does today. 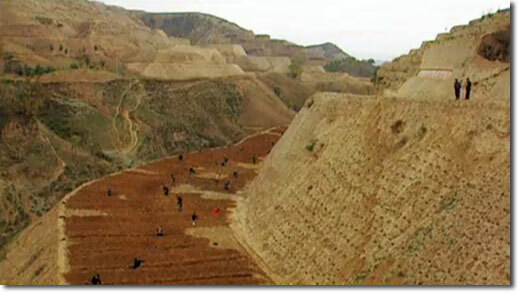 Where, for example, an agronomist can take a perfectly good piece of land and turn it into a desert over the course of a few decades, or even just a few years, a permaculturist can take a desert, and transform it back into a perfectly good piece of land, and can design it to be (like a natural forest) almost self-perpetuating whilst producing food. If you study soil science (as I have, and I could wish it was compulsory in schools) — and not just from a reductionist chemical standpoint as do the agronomists, but from a biological standpoint, where you’re observing the ‘magic’ of biological/chemical interactions and interdependencies — then you quickly become aware that the larger in scale you go with agriculture, the more compromises you begin to make in regards to working with nature. The more land you endeavor to take care of per person, the more you begin ‘forcing functions’ (trying to get nature to do something it doesn’t want to do — a bit like pushing water uphill). With larger scale, two things happen: 1) the larger in scale, the greater the detachment between the land-steward and his land — observing macro-level synergies and tweaking them becomes increasingly difficult to impossible, and 2) monocultures become a necessity to the automation required, and you end up putting more energy in, and getting less out, and you begin the input treadmill of labour, fertilisers, chemicals, etc., that are the inevitable result of trying to maintain what nature doesn’t normally allow. (This post gives a good easy-to-understand rundown on one example of this). You know very well that, with present systems, we’re using enormous amounts of fossil fuels to produce ‘food’ (‘food’ being in inverted commas, because it’s increasingly empty of nutrition). And, you know very well that we just don’t have that energy to burn any more. Additionally, because of our globalized system, we’re not eating plants we could, simply because they don’t travel well, so are sidelined by BigAgri (think berries, and all kinds of other plant varieties). The system that promised more diversity in our diet has actually reduced it dramatically. Even of that limited range of produce that is ‘approved’ by the BigAgri globalized model, around 25-50% of the food is wasted (according to the FAO) before it even reaches supermarkets (and lots more is wasted post-purchase as well!). The use of fossil fuels (pesticides, fertilizers) has not only increased our population manifold, but it’s simultaneously consumed our soil life at an escalating rate. The last three points all mean humanity is in a highly precarious position (dead soils, peaked oil, burgeoning populations). We’re heading into definite famine territory…. Then add in climate change, which is seriously exacerbating our ability to correct the above problems. Much of this climate change is due to the above — the carbon that should be in our soils is now in our atmosphere, due to ignorance and greed. Add to the above that most people now live in densely packed cities, so are unable to work the land even if they wanted to, and even if they knew how. The above all inevitably mean two major things need to happen — a massive re-skilling/re-education movement, combined with a transition of people back to the land, for those who don’t have access to it. Given that in much of the ‘developed’ world, most of the land is held by large farms and even by a handful of very large multinationals (with farmers often little more than serfs on them — ‘managing’ their farms with a colour-by-numbers approach dictated to them by their corporate feudal lords), the above reskilling and transitioning back to the land is complicated with the very difficult necessity of land redistribution — something that historically almost never occurred without revolution and bloodshed. Where today we have economic incentives that favor large scale and Big Agri, if we are to work in the political realm then I think we need to target the need to see policies enacted which instead incentivise ‘get smaller or get out’, the very opposite of the policies of the last 50 years. Again, this will only work if people managing these smaller plots are educated in the how of it, otherwise instead of increasing resiliency and decreasing food insecurity, we can just exacerbate the situation. For urbanites, this is a good transitional option in the interim, where we relegate the lawn to its place as a short-lived entry in our history books: www.permaculturenews.org/2011/05/13/the-grass-isnt-greener.